Jeff For Banks: Capital and More of It! Capital and More of It! The regulatory definition of "well capitalized" has not changed post financial crisis. So where is all of this belly aching about capital requirements coming from? It has come from three places, in my opinion. When the financial crisis struck, and FIs began to falter, regulators were issuing regulatory orders (supervisory agreements, written agreements, cease & desist orders, and memorandum of understandings, collectively "ROs") faster than my daughters point out that I'm wrong. If you are not familiar with my family, it happens a lot. A typical article in an RO requires an FI to increase its capital based on perceived risk. The only relevant perceiver, in this case, is the regulator. The FDIC IMCR commonly required a Tier 1 leverage ratio of 8%, and total risk-based ratio of 12%. The OCC, not to be trumped by their arch nemesis, opted for 9% and 13% respectively. Regulators began requiring formal capital plans during routine exam cycles. I knew this trend was going to stay when a bank with a 16% leverage ratio called me for help developing their capital plan. My response: you need a plan to say what you are going to do with it all? But I digress. In 2009 as a result of the crisis, the Fed performed a Supervisory Capital Assessment Program (SCAP) on our 19 largest bank holding companies to see if they required more capital under adverse conditions. What adverse conditions do you say? 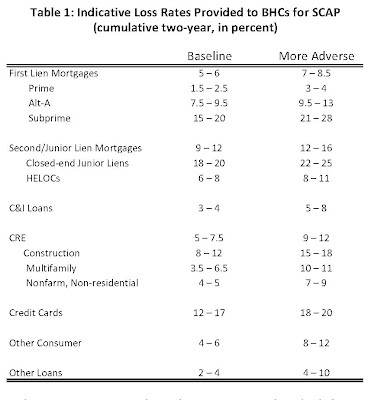 Look at the table below that shows loss rate assumptions applied to specific loan portfolios. 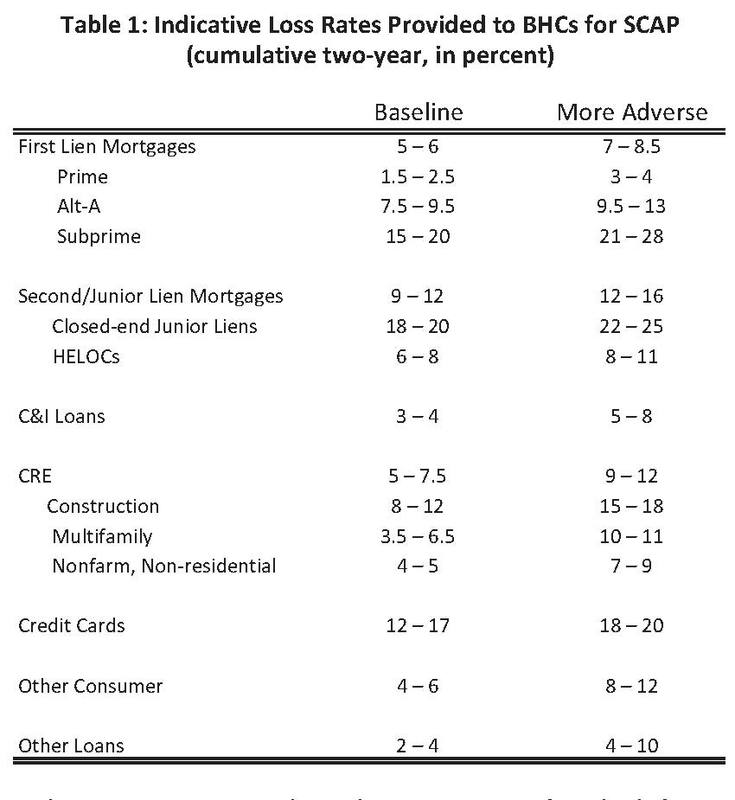 In other words, the banks had to assume they would lose 25% of their home equity loans in a stress scenario. The Fed never intended to apply these loss rates to traditional community FIs. But regulators are increasingly tightening the noose on FIs for applying more aggressive loss rates to their stress scenarios in developing capital plans. In addition, they are requiring Boards, based on the results of the stress scenarios, to set their own minimum capital ratios. And now the trifecta of capital pressures, Basel III. Deferring to international regulators, US regulators get their way. Adopt Basel III, and suddenly that Tier 1 leverage ratio goes from 5% to 7%, and qualifying Tier 1 capital is re-defined. Total risk-based capital goes from 10% to 10.5%. Not bad you might think. But the risk weightings of certain asset classes change, and will be more difficult to track. Basel III puts pressure on the numerator (what qualifies as Tier 1 capital) and the denominator (risk weights of certain asset classes). If Basel is adopted according to its timetable, FIs will have to be in full compliance by the end of 2018. Better get your popcorn. The solutions: Greater earnings, lower dividends, greater amounts of common equity... and lower returns on equity. Is your FI making changes to increase capital? Mortgage Banking: How profitable should it be?